The superclub experience presents itself anew in the form of XYLO. (SPOT.ph) Ahhh, to spend your 20s in the aughts. For most of that decade, it was removed from the popularity of Facebook or the real-time thrill of Instagram, and the best way to reminisce was to actually talk about it. If you’re fortunate enough to still be friends with some of those you met 10 to 18 years ago and still be able to laugh and recall with them the fashion faux pas, bad alcohol decisions, and emotional roller coasters that brought you to the here and now, you’ve got yourself a proper #throwback. 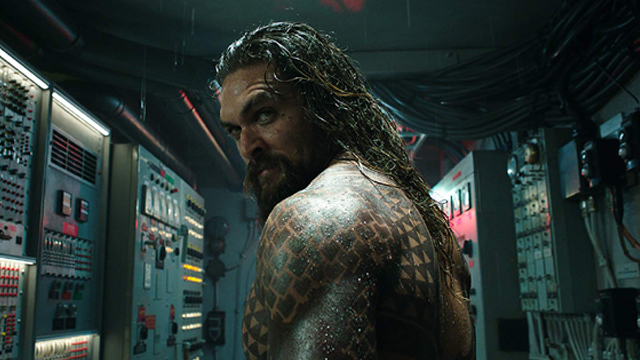 Speaking of throwbacks, we find it funny—and alarming, but that’s just us getting old—that everything new and cool in the aughts is now the stuff of archives. Moony and Bonnie Bailey, women of “Dove” and “Ever After” fame respectively, recently got together in Manila to perform for this decade’s cool titos and titas instead of a pack of young, sweaty clubbers. Anton Ramos, the DJ behind the time’s Chillout Project series, no longer releases CDs but is now a great resource of party playlists on Spotify. (Look for his vintage Chillout Project compilations and the newer, 80-hour Bank Bar Manila playlist under antonramos_.) Even Jennifer Lopez remixes—among them, “I’m Real” and “Ain’t It Funny”—are now part of “classic” set lists on the radio that share air time with Donna Summer and pre-The Bodyguard Whitney Houston. One such stand out from that era that we all had the chance to see first-hand was the birth of the Pinoy superclub—only once a vision of Temple Bar owner Erik Cua who, according to a common friend of ours in university back in the late '90s, has always wanted to run a place where people “can dine, dance, and chill out.” That vision, eventually shared with the likes of Tim Yap, Fern Aracama, and GP Reyes, became Embassy—the legendary Fort Strip establishment where one could dine (Embassy Cuisine), dance (Embassy Superclub), and chill out (Embassy Cafeteria, which aptly served post-drinking breakfast meals) in the same compound indeed. 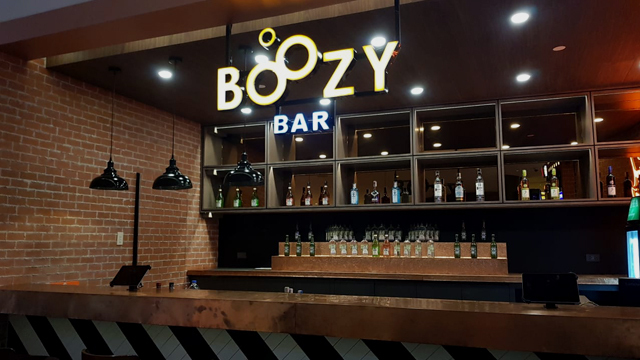 Embassy was the place to see and be seen, and a hotspot where hundreds of cash-burning, vodka-fueled party goers didn’t mind waiting in line to enter. It was also a venue that saw that decade’s best parties come to life, including Preview Magazine’s epic 10th anniversary, visits from DJs such as Tiesto and Kaskade, and Halloween and New Year’s Eve parties galore. Personally, Embassy was where we deepened our appreciation for dance music, googling the morning after the lyrics of songs that DJ Owens Sun would play during his set. We would not have filled our iPod Minis to capacity if not for that practice! The superclub experience also afforded lessons in manners, etiquette, and dress codes. You see, there are life skills and social hacks to be learned in the midst of flashing lights and pulsating beats. And we argue that in the same way that one must learn how to behave at an art museum or work every utensil correctly for formal dinners, one must also occasionally party in a club and do the things that come with the proper clubbing experience: Follow a prescribed dress code, order from the bar or a waiter, and dance (to the bassline, at the very least). This decade’s crop of nocturnal 20-somethings have far more dining and socializing options than we did in the aughts—and a good number of these options play up to this generation’s preference for the cozy, neighborhood- or community-driven, and IG-worthy. It is then no wonder that they are drawn to Poblacion’s neon lights, Escolta’s art-meets-street charm, or Karrivin’s upmarket appeal. 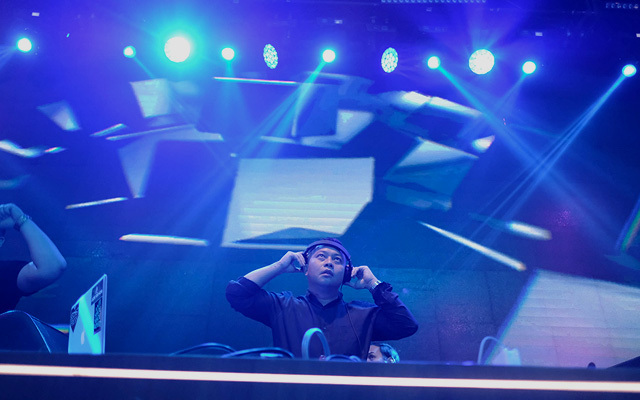 But like a phoenix rising from the ashes, the superclub experience presents itself anew—in the form of XYLO at The Palace in Uptown Bonifacio. An evening at the club could feel like a visit to another planet. But which planet? That depends on the evening’s theme. Wednesdays are for hiphop and RNB while Thursdays are for classic house and EDM. 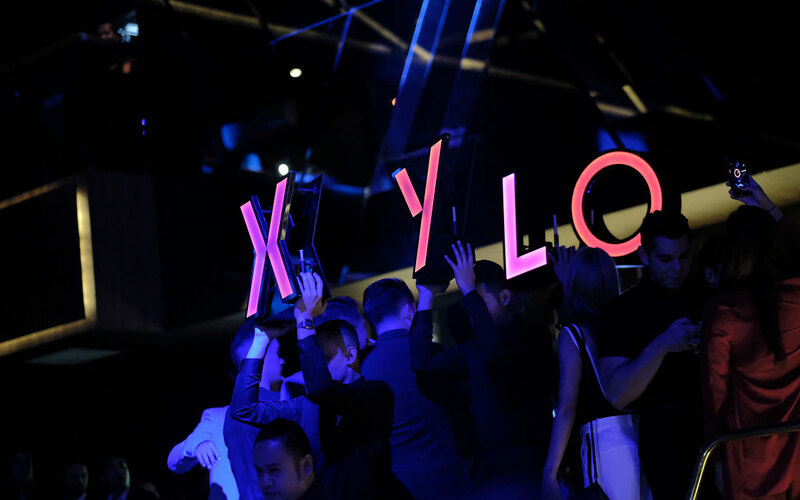 Before an exclusive guest list a week before its grand public launch, XYLO hosted a preview on October 4. 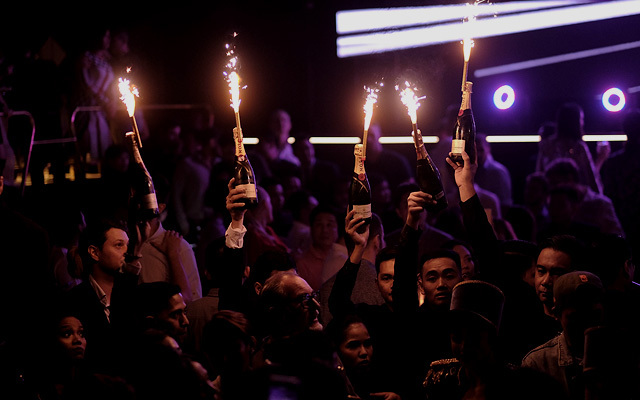 Just like its predecessors, Embassy and Republic during their respective heydays, XYLO asserted itself as the current premier nightlife destination for world-class clubbing in Manila. And as far as showing off a new look and offering a new experience is concerned, XYLO did not disappoint. 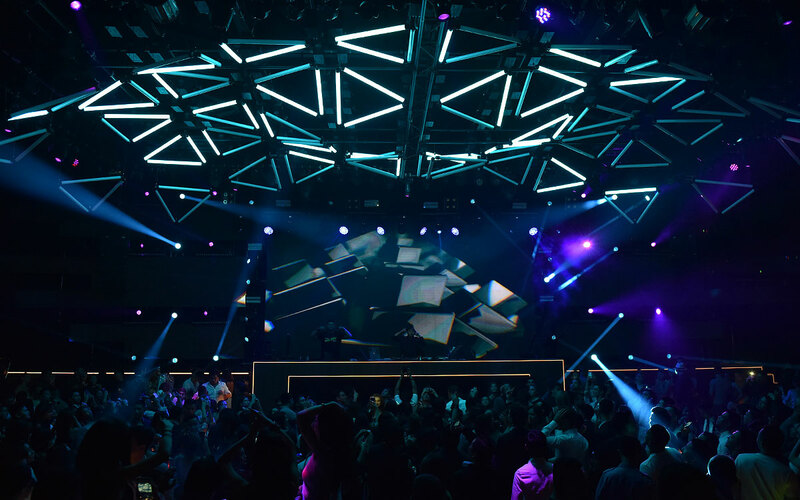 The animated visuals on the gigantic LED screens melded with the music, the drinks were potent, and the ceiling lights had its own show, descending to the sea of guests like a cloud and flowing to the beat like a wave. Even the restroom, decked with framed illustrations and lit to make you look flawless, offered its own Insta-moments. Clubbing scene staple DJ Ace Ramos was the first to man the deck during preview night and treated us to an opening set that got us all fired up for the long night ahead. We were there at the event and while the drinking and the dancing took us back to our 20s even for just a while (despite having a 9 a.m. meeting the next day—and we weren’t about to flake on it like our reckless, hungover selves would), it seemed like young, nocturnal Manila needs to learn how to dance again and not just cover the party for the ‘gram. The selfies, boomerangs, and group shots can wait. It’s like The Great Gatsby—only it’s you in it. Champagne flows like there’s no tomorrow at Xylo and for various occasions: a birthday, an anniversary, a promotion. Sometimes, they pop the cork just because. 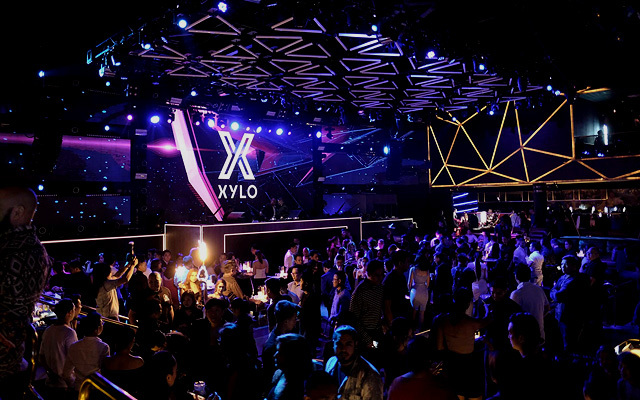 While XYLO's look and feel were designed to please a digital-first, IG Stories-crazy market, the clubbing experience has always been founded on dancing. And it’s not like you have to be a pro at moving to the music—vodka and that dance lesson from Will Smith’s Hitch can take care of that. Just. Dance. Now that the holidays are upon us and everyone is pressured to suggest ideas for reunions and end-of-year celebrations, try pitching a proper night out at the club with kin or friends who are willing to go beyond the usual Poblacion, Escolta, or Karrivin routes. Do dress up for it, replay that Hitch excerpt right before if you must, try not to be on your phone too much, and dance like it’s no one’s business. If anything, dancing is a form of exercise—all that holiday lechon in your tummy will not melt by itself. XYLO is at The Palace, Uptown Bonifacio. It is open from 10 p.m. onwards (Wednesday to Saturday). For reservations, contact XYLO at 0917-680-8888.